The isotope analytics is already being used in the area of food and animal feed by industry, trade, associations, customs and the public authorities for food inspection for quality control. The results of these analyses serve as decisive, legally binding evidence material for convictions at court today. 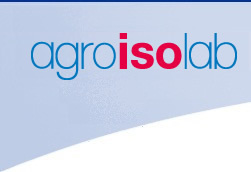 Agroisolab GmbH assumes a leading role Europe wide because of its know-how, its practice oriented application and its tong term experience in these lines of businesses. Work orders and inquiries from the areas chemistry, pharmaceuticals or cosmetics show that also other lines of businesses have very specific problems, for which the isotope analytics offers optimum solution alternatives. Thereby research & development at Agroisolab GmbH again and again opens up individually customized solution concepts also in case of new problems. A detailed overview of the practical application possibilities is found under the menu item SERVICES. You will find numerous press releases about interesting examples of practical work under "Agroisolab in der Presse" [only available in German].